Do Manners Matter At Work? 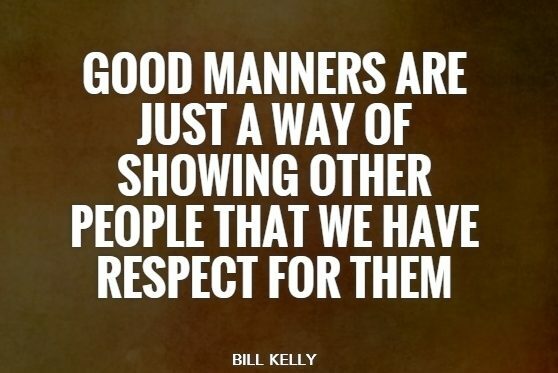 01 Jul Do Manners Matter At Work? Far from being considered old-fashioned, manners at still in vogue at the workplace. 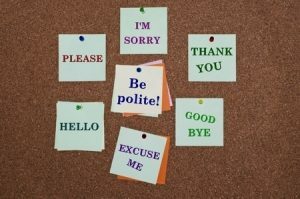 “Hello”, “Please”,”Thank you” and “Sorry” go a long way towards maintaining relationships at workplace. Team members today watch their manager and the leadership very closely and learn from them. Hence, their behaviour towards other their peers and employees play a vital role in building the culture of the organisation. A recent study has found that people reduce their work effort when their leaders do not respect them. In many organisations, ‘Respect for Individual’ is one of their core values, thereby ensuring everybody in the organisation consciously adheres to this value. Also see: 10 WAYS TO BECOME A GOOD BOSS TODAY! Today, respect is the one thing people want most from their leaders. They want this more than even the often-cited recognition and appreciation.